How to take photos with a vintage style? Do you miss the classic and traditional analog photography film, such as Kodak Ektachrome 64? When you want to rediscover the magic of analog film, WidsMob FilmPack should be the best analog film simulator to apply gorgeous effects. It is able to rediscover the magic of the analog film effects with ease. WidsMob FilmPack provides 4 color rendition profiles with 28 film camera profiles. You can also get 4 different contrast modes, 4 saturation modes and 7 different special tones. Moreover there are 25 different film grain methods. When you combine different parameters, you can tens of thousand of effects to make the photos great. Just learn more about how to use WidsMob FilmPack with the following tutorial. 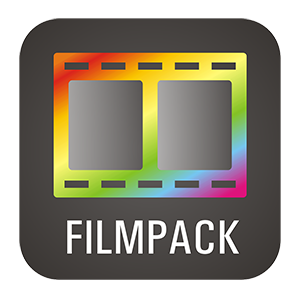 Just download and install the latest version of WidsMob FilmPack on your computer first. After that you can launch the program to apply stunning analog film effects to digital photography as below. Step 1: Click the “Open” button or drag your images directly into the program. The program supports JPEG as well as RAW formats. When you load the images into the program, it is able to recognise the resolution of the files. Step 2: Choose the Color Rendition Profile. There are 4 different analog film modes, Color Positive Film, Color Negative Film, Black and White Film and Cross Processed Film. Here just take Color Positive Film for example. There is a default camera profile for the Color Rendition Profile. You can also choose another one if you are not satisfied with the current one. Each one has a special and classic analog film effect. Step 3: Turn on Before/After mode, when you need to further edit the image with other effects, you can adjust the other parameters, such as Contrast, Saturation, Special and even film grain. Step 4: Choose the Film Grain for the analog film effect. There is a default one with the analog film effect, but you can also choose a different one, or custom the intensity and size for the film grain to make the desired effect. Analog photography is photography that uses a progressively changing recording medium with chemical process base or electronic. It was the only kind of film method for more than one hundred years. When the film camera uses the gelatin-silver process, light falling upon photographic emulsions containing sliver halides is recorded as a latent image. Once the latent image is subjected to photographic processing, the analog photography is visible and insensitive to light. But it is the digital photography era now; even the major photographic film and cameras producer Kodak has announced that it would stop selling and making traditional film camera. When you want to get some vintage and classic analog photography, you can just apply analog film effects for the digital photography with ease.